Building bonfires on November 5th is not only part of a tradition from hundreds of years ago since the Gunpowder Plot but it’s also a great way of creating a sociable atmosphere in a cosy environment. Despite its many benefits, bonfires can present many hazards so here’s a guide to building a bonfire in a safe manner. Whether it’s in your back garden, someone else’s or even a local space, it’s very important to start by choosing a suitable spot. Ensure that the site is a reasonable distance from buildings, trees and fences. Once this has been established, clear all rubbish around the site, particularly anything that’s made of plastic or rubber (e.g. tyres and bottles) as they can give off highly unpleasant fumes. If you’re in a residential area, be sure to notify neighbours about the bonfire in advance. This is because some people may get distressed by the smoke so it is important to communicate this beforehand. 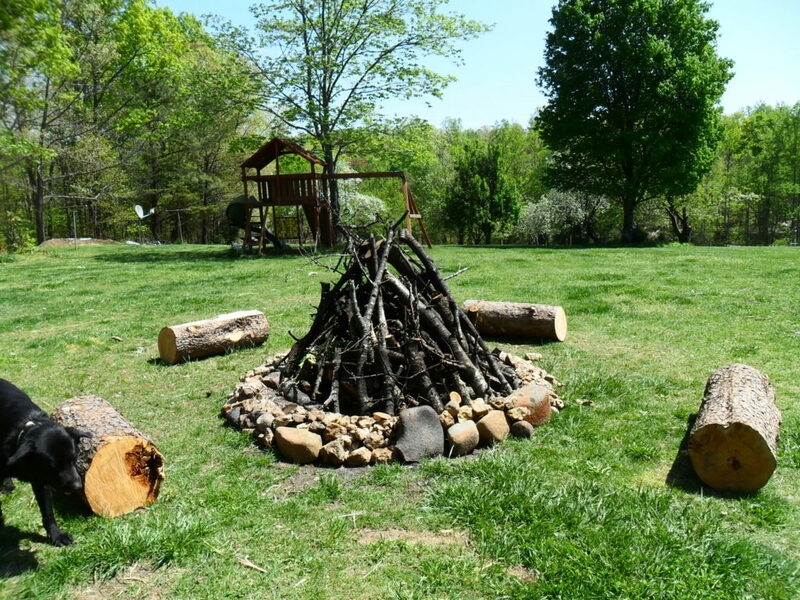 The bonfire must be built on bare earth so if your designated spot has grass, prepare to dig a shallow pit. It should be in a circular shape and your desired size for the bonfire. Once your happy with this, surround the pit with stones or bricks. This is an essential safety precaution as will prevent the fire from spreading outside the pit. Gather as much fuel wood as you can, particularly dry leaves and twigs as they burn very fast. Build a teepee shape in the centre of the pit from all the wood and twigs then place all the leaves under it. Add scrunched up old newspaper for extra ignition. 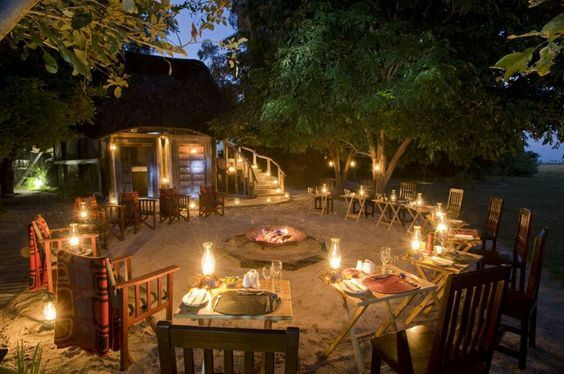 You could also build a bonfire using pallets. This is a very easy option because pallets are so plentiful people often give them away. The one shown below is a bit on the big side for most people’s needs but you can see the general idea. Before lighting the bonfire always check for, and remove, any animals like hedgehogs that might have strayed into what looks like a snug home. Light a match and start with burning the leaves and paper. Never use petrol, oil or methylated spirits as these can be damaging for the environment and very dangerous for you. Once set alight, the bonfire should never be left unattended and it would be a good idea to give one person the responsibility to ensure this at all times. Bonfire are very hot and generate lost of sparks. Make sure your guests are standing well away! If it’s a public display you’ll need to put a fence around it to maintain a safe distance. This is arguably the best part because bonfire food and desserts are absolutely delicious. This means you don’t have to eat soggy burgers or worry about buying food elsewhere because you can cook up fresh food on the spot. See our fire-baked potatoes and bonfire s’mores. 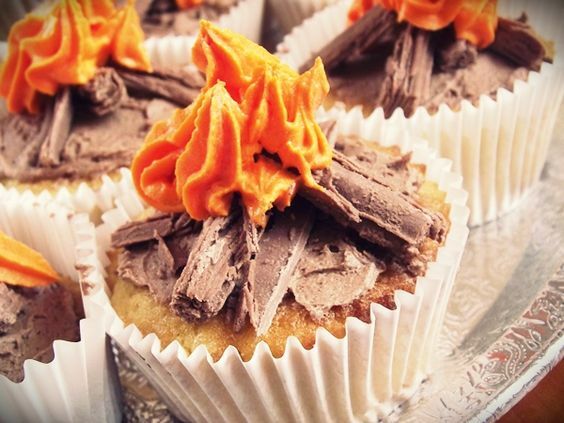 You can also get creative with bonfire inspired cupcakes and bring them along for everyone to enjoy. There’s no doubt that everyone will be all wrapped up at that time of year but nothing is more cosy than being snuggled up in blankets. Also, even though people will be standing around the bonfire, they will eventually get tired so it may be worth placing a few seats within a reasonably safe distance. Don’t leave the fire to smoulder – pour a bucket of water over it. Keep a fire extinguisher at hand too in case of emergencies. And whatever you do, never throw your spent fireworks cases on it. Any residual gunpowder or unfired stars can be extremely dangerous.